Try your hardest. Do your best. and always remember you are more than a test! 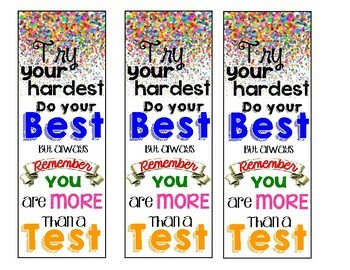 Great bookmarks for a treat with the test!